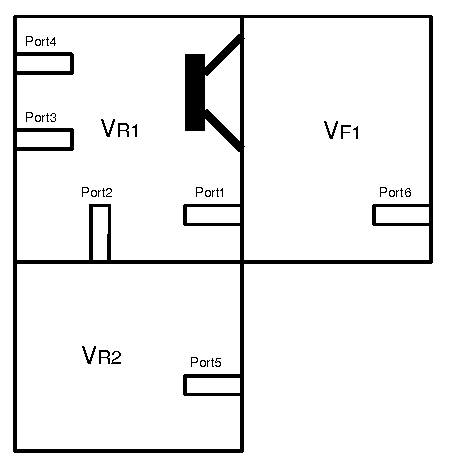 On this page you are able to calculate an advanced speaker enclosure with Thiele/Small parameter. Diagrams are calculated for frequency response, step response, group delay, voice-coil impedance, velocity of diaphragm and of air in port, as well as displacement of diaphragm and air in ports. Attention: You can put in your own Thiele/Small-parameter only if the speaker-select "parameterinput" is selected. To display diagrams you must fill in all appropiate fields (zeros disables the curves).